Designed from the ground up to unlock the power of personalized thermal sensations, Embr Wave precisely cools or warms the temperature-sensitive skin on your wrist to help you feel 5 degrees cooler or 5 degrees warmer in minutes. The thermoreceptors on your wrist significantly impact your feeling of temperature. 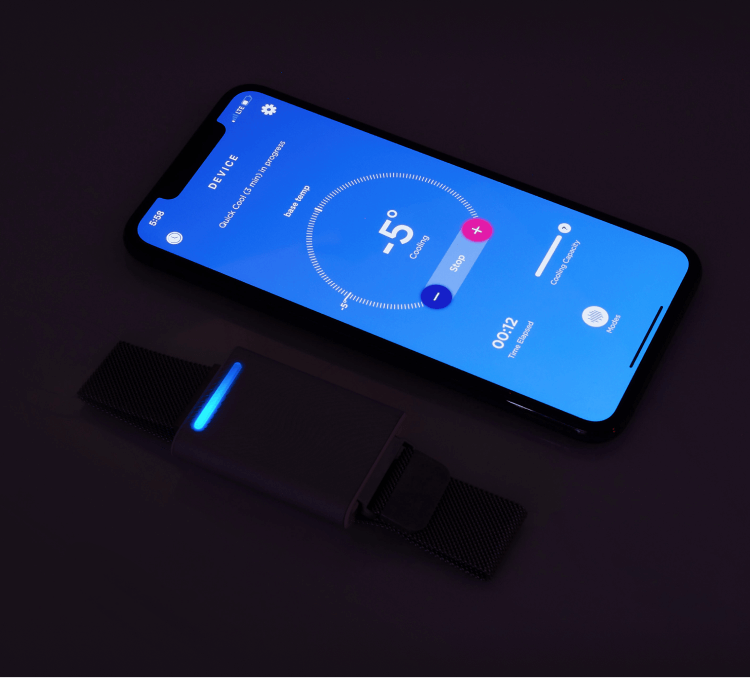 So Embr Wave’s scientifically-developed waveforms precisely stimulate your thermoreceptors, leveraging your body’s natural systems to make you feel cooler or warmer by 5 degrees in just a few minutes. Hacks the way you feel. Embr Wave’s technology is based on a breakthrough physiological insight. It turns out that warming or cooling specific parts of your body can make you feel more comfortable without changing your core body temperature. That’s because thermoreceptor stimulation triggers the specific regions of the brain that control thermoregulation and pleasure. Your body is constantly evolving and, in turn, so is your thermal sweet spot. That’s why Embr Wave’s gives you precise control. 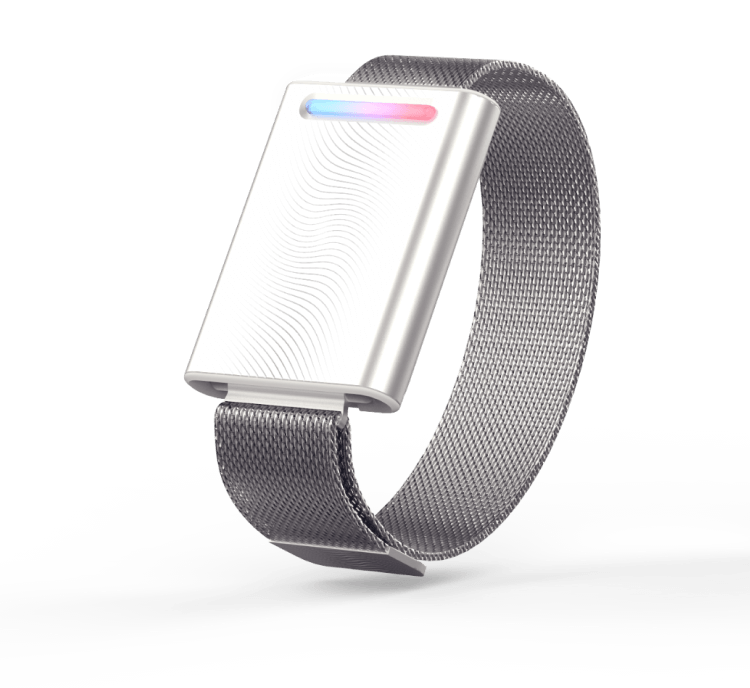 Just press the Light Bar (blue side for cooling, red side for warming) and you’ll immediately feel a thermal sensation on your wrist. This stimulates a feedback loop through your nervous system that tells you immediately how pleasant the sensation is, allowing you to find a temperature that feels perfect for you. 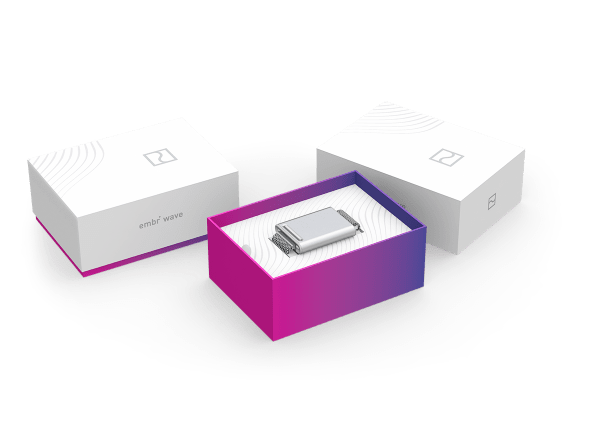 Embr Wave leverages innovations in power consumption and thermal dissipation to pack effective cooling and heating into a device designed for any wrist size. 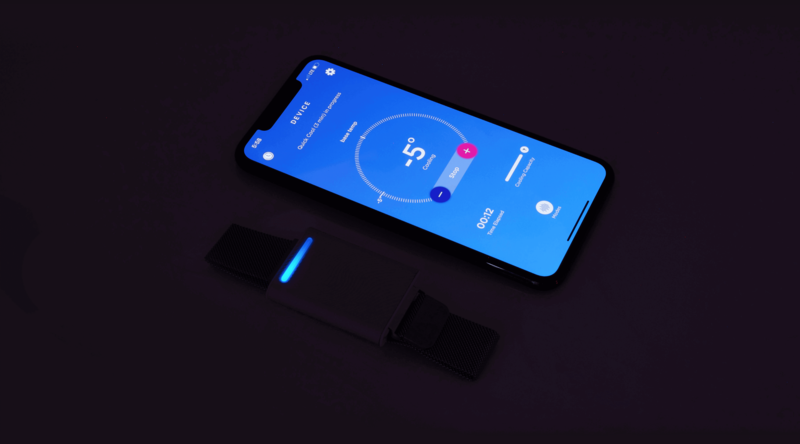 It utilizes a NASA-Grade thermoelectric to generate precise thermal sensations, multiple temperature sensors to enable real-time temperature monitoring of your skin and the environment, and a high-powered lithium battery. 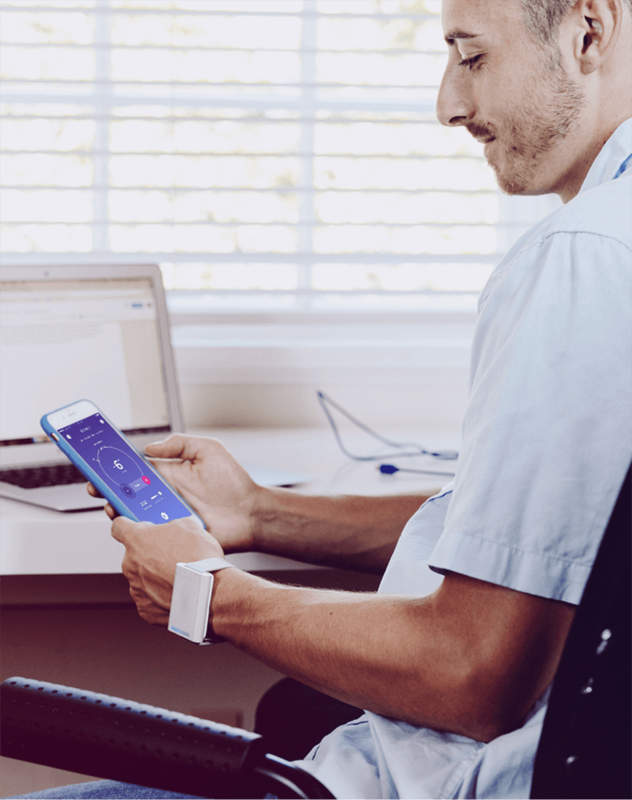 Pair the Embr Wave bracelet with the Embr Wave Mobile app for continuous product improvements via firmware updates, enhanced temperature control, and usage tracking. Our interactive firmware means your Embr Wave continues to evolve over time as we push our research and innovation to more advanced territory. Monthly product improvements are made available for download via the mobile app. Use the app’s Mobile Control feature to control your Embr Wave bracelet in real-time with more precision. The Temperature Dial allows you to easily dial up or dial down the temperature waves. Track your cooling and warming usage to discover patterns that can help you live more comfortably.